Mattel paid out 48.7 percent of its diluted earnings per share to investors in 2007. If you subtract this percentage from 100 percent, you can find how much the company plowed back into its operations toward future growth. In Mattel's case, 51.3 percent of its earnings were reinvested in the growth of the company. You can find the earnings reinvested in the company over the years in the retained earnings line in the shareholders' equity section of the balance sheet. (See Chapter 6 for a more detailed discussion of shareholders' equity.) Each year, any additional retained earnings are added to this line item. Mattel's retained earnings were over $1.977 billion during its lifespan, according to the 2007 balance sheet (see Appendix A). Following are numbers from Hasbro's 2007 income statement. 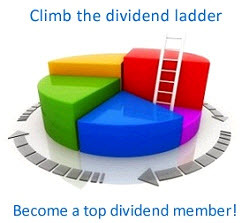 You can use them to calculate the dividend payout ratio. Hasbro paid out 32.5 percent of its diluted earnings per share to investors and plowed 67.5 percent (subtract 32.5 from 100) back into the company to use for future growth. Hasbro's retained earnings on its 2007 balance sheet were more than $2.26 billion.